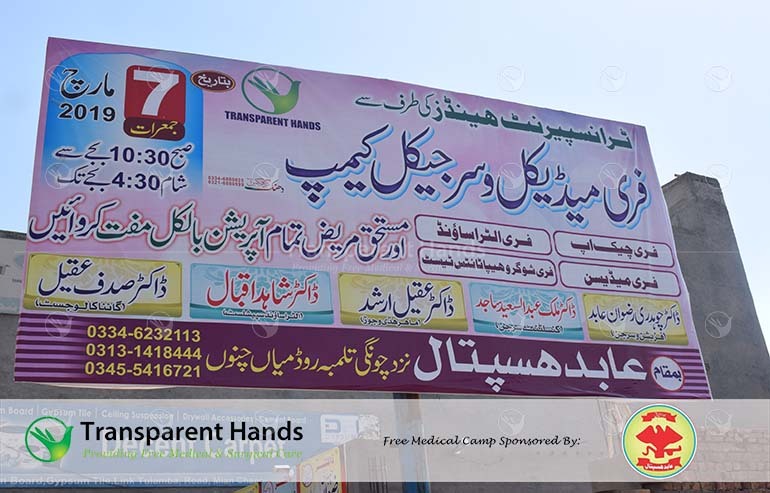 Transparent Hands organized a free Medical & Surgical camp on March 7, 2019 at Abid Hospital Mian Channu. 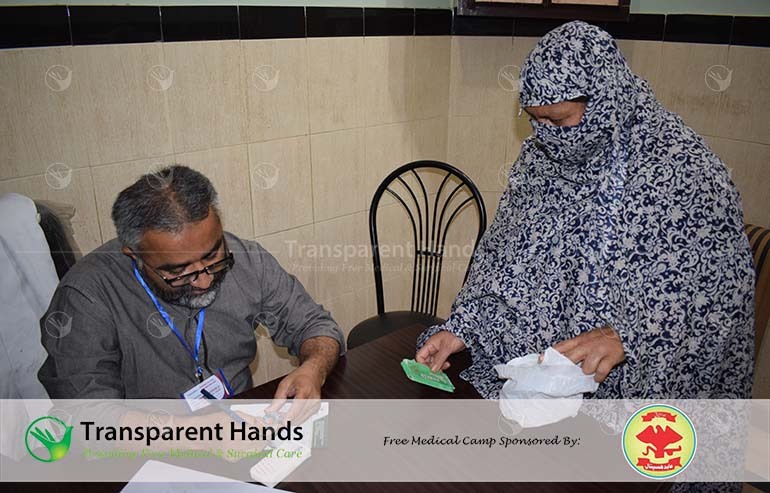 The camp was organized by Transparent Hands with collaboration of Abid Hospital and with generous contributions of our donors including Mr. Ahmad Abrar Shami & Mr. Hafiz Abdullah. 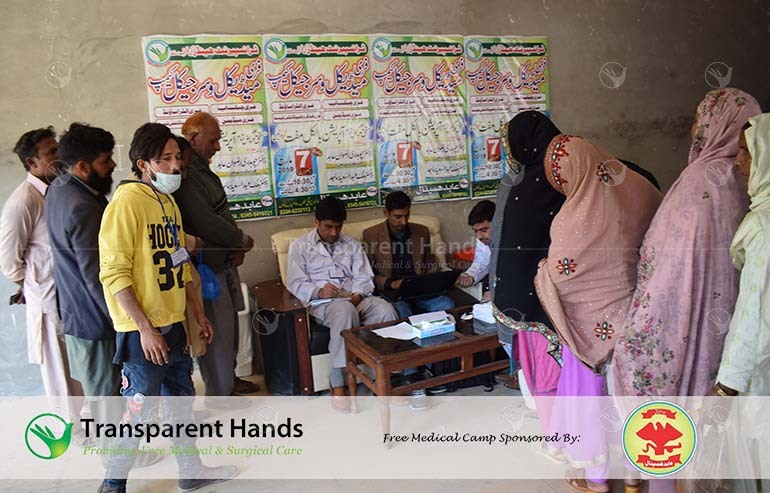 In this medical camp, 221 patients were checked free of cost and were also provided free medicines as prescribed by doctors. 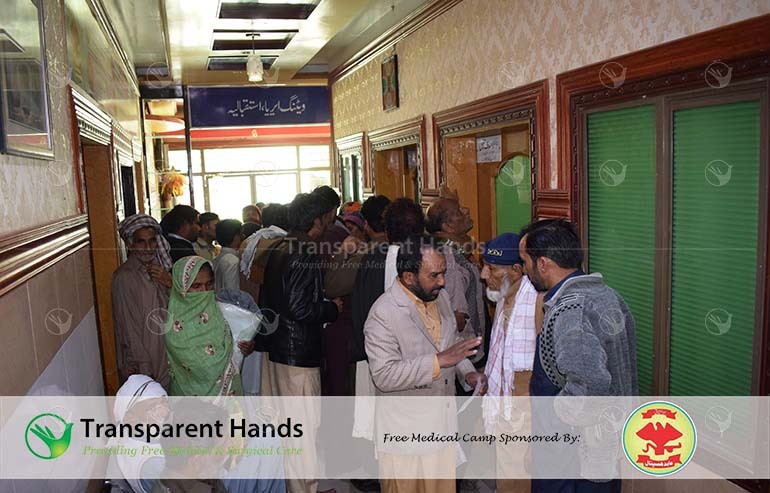 Out of these patients, around 40 people were given free blood sugar test facility. 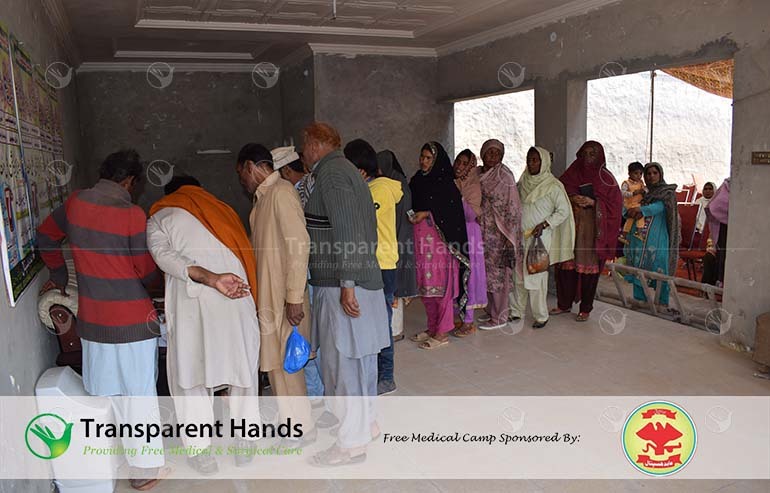 In medical camp, 30 surgical cases were also identified and they were further pre-registered for surgery with Transparent Hands. 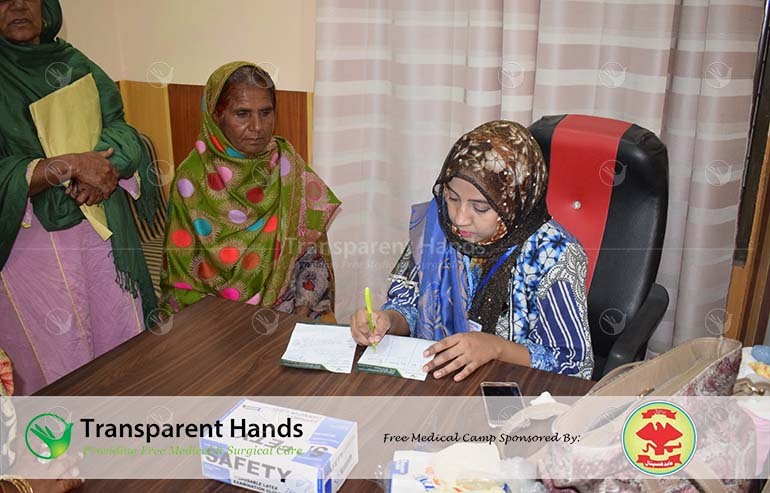 Out of these surgical patients, 10 patients of general surgery including gallstones, umbilical hernia and inguinal hernia were found. 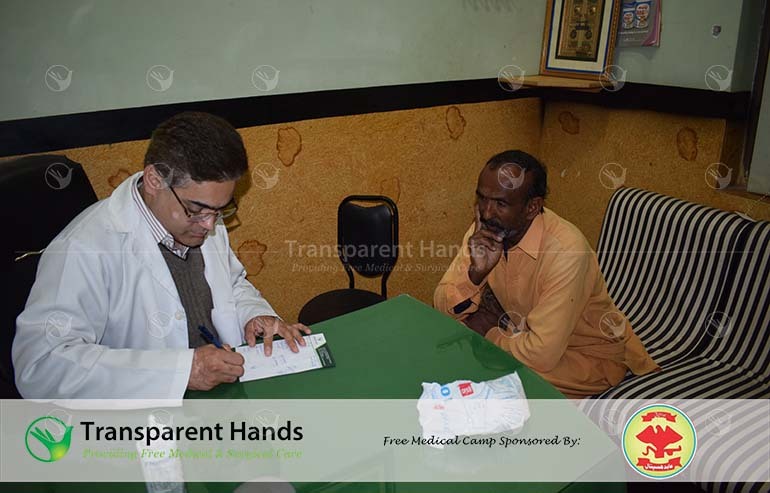 10 patients of gynecology including uterus fibroid, c-section, ovarian cyst and 10 patient of urology including enlarged prostate, renal Calculi and kidney stones were pre-registered. 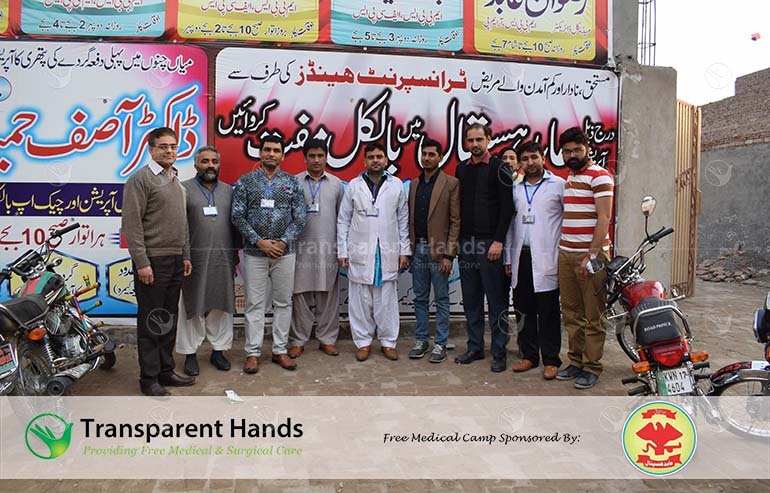 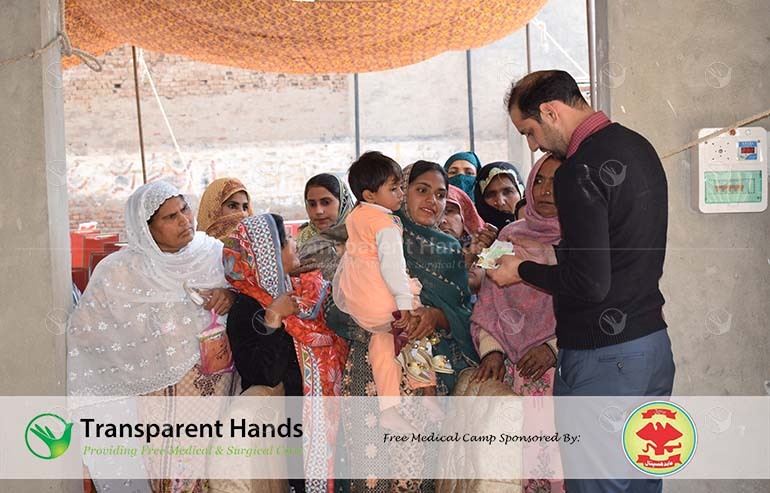 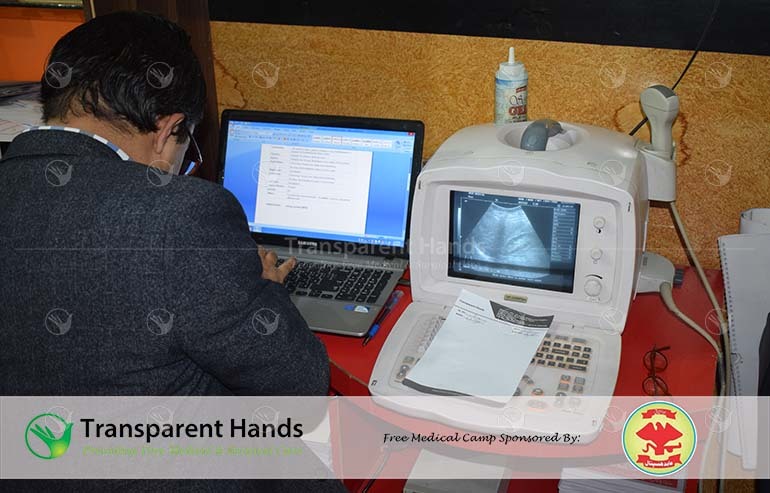 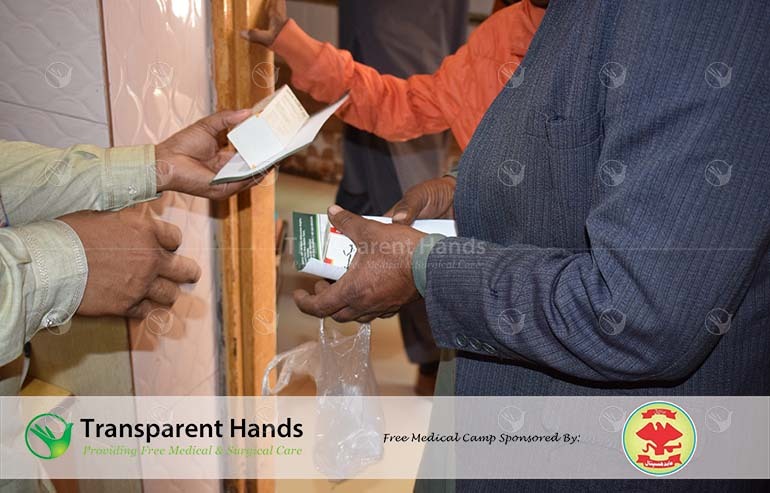 Transparent Hands and Abid Hospital's team comprising of 20 members managed this medical camp successfully. 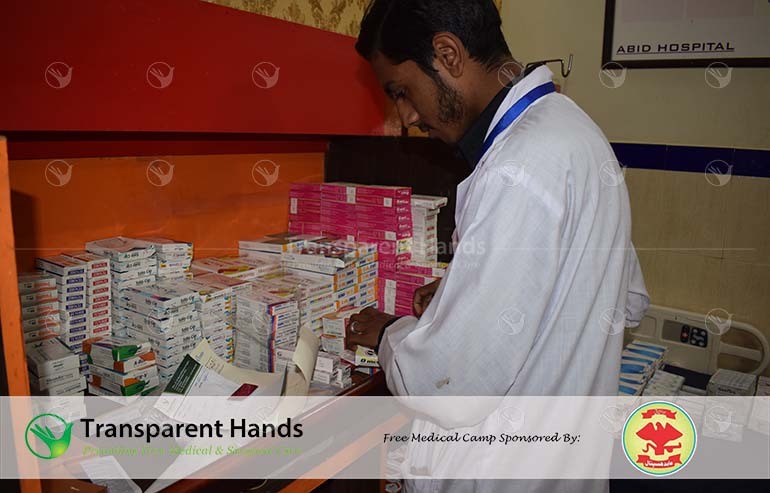 Team included 6 doctors, 2 pharmacists / dispensers, 2 phlebotomists, 4 helpers, 2 supervisors, 3 patient registration persons and 1 photographer. 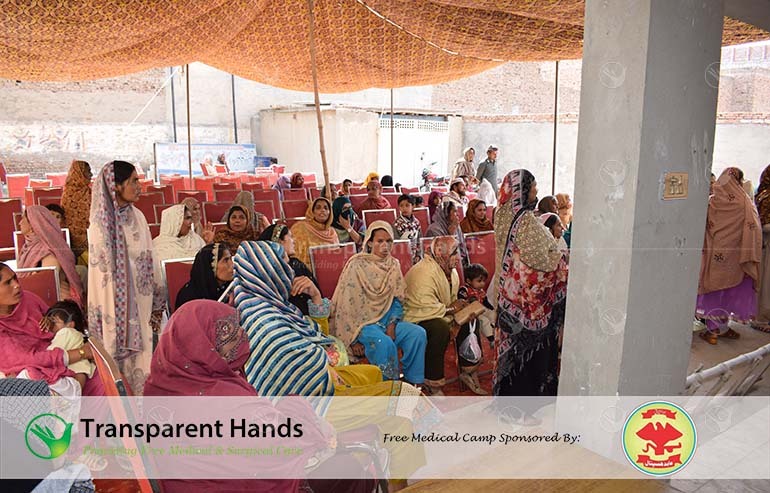 The camp has successfully provided free medical care to the poverty-stricken community of Mian Channu and surrounding areas and we are looking forward to organizing many such camps all across Pakistan.